Waltzes with Johnny Krizancic plus more! 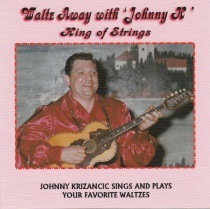 "Waltz Away with Johnny K" is the title of this CD. Johnny Krizancic plays and sings your favorite waltzes and more. Check out this CD today!